Whether you are a novice musician and just learning or a seasoned professional, caring for your guitar will help protect your investment as well as retain the resale value of your instrument, should you wish to trade it in or upgrade in the future. At McBride Music & Pawn we have over 47 years as one of the largest vintage and used guitar retailers in Denton. When it comes to guitars, we’ve seen it all. Since most of us are musicians it is a little painful sometimes watching amazing guitars come across our counter which haven’t been cared for. We consider guitars to be more than instruments; we consider them art and part of our heritage in some cases, which is worth protecting. If you have purchased a new or vintage guitar, we have put together some tips to help you properly care for it and preserve its resale value. As a rule, guitars need to be stored in a climate-controlled environment. Guitars left in an attic or garage are often discovered to have severe damage, much to the dismay of their owners that thought they had them put up for safe keeping. Extremities, in general, are bad for the instrument. Too hot, too cold, too wet, too dry……..your guitar will not like respond well to any of those environments. Additionally, never store your guitar for an extended period of time with the strings tuned up to pitch. Slacking the strings down a couple of steps relieves the tension on the neck, but doesn’t take all the tension completely away. For vintage instruments, be sure to take them out of the case a couple of times a year, as old plastics tend to emit gasses that can be damaging to the instrument if they are not allowed to disperse. Lastly, if you aren’t going to keep your guitar in a case, at least put it on a stand. Many guitars have met an early demise because they were propped up against a wall or corner, only to fall over and have the neck broken. Doug Burr’s album release at Dan’s Silverleaf with our own Cody Garcia backing. Have you ever seen a guitar player wipe down his or her strings after a session? That is because your hands transfer dirt and natural oil from your skin to the strings every time you play. A dry cloth works or there are a variety of portable and disposable cloth options. 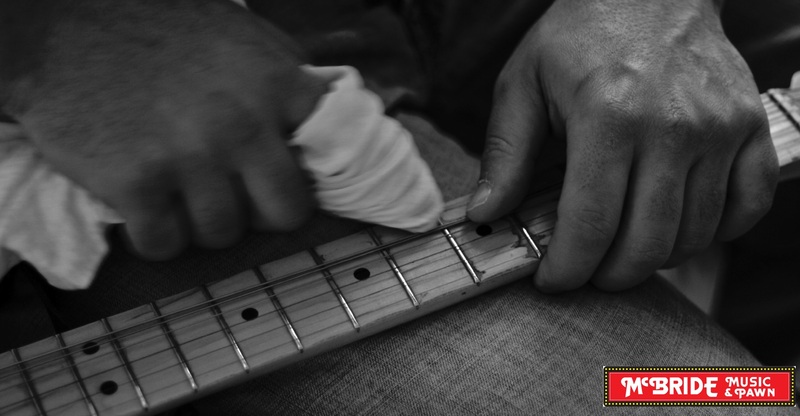 Pinch the string inside the cloth and apply pressure to clean both sides of your guitar string at the same time. As far as cleaning goes, just wiping your guitar down with a clean, lint-free cotton cloth goes a long way, but if you want to take it a step further, be careful what you put on your guitar’s finish. There are even some commercially available guitar polishes that I would never recommend. For most modern guitars, any good, name brand guitar polish/cleaner should work fine. On older instruments, most of which have nitrocellulose finishes, you need to be much more selective about what you put on your guitar. We recommend GHS Guitar Gloss, Planet Waves, or Preservation Polish. We do NOT recommend Martin brand guitar polish on older instruments, especially Fenders and Gibson from the late 1970’s. This particular polish almost always leaves a cloudy finish that looks worse than when you started. Other than that, have fun, and enjoy playing the guitar! If you are looking for a new guitar, or want some free advice on the proper care of your guitar from our staff of experienced musicians, bring your guitar in and pay us a visit. 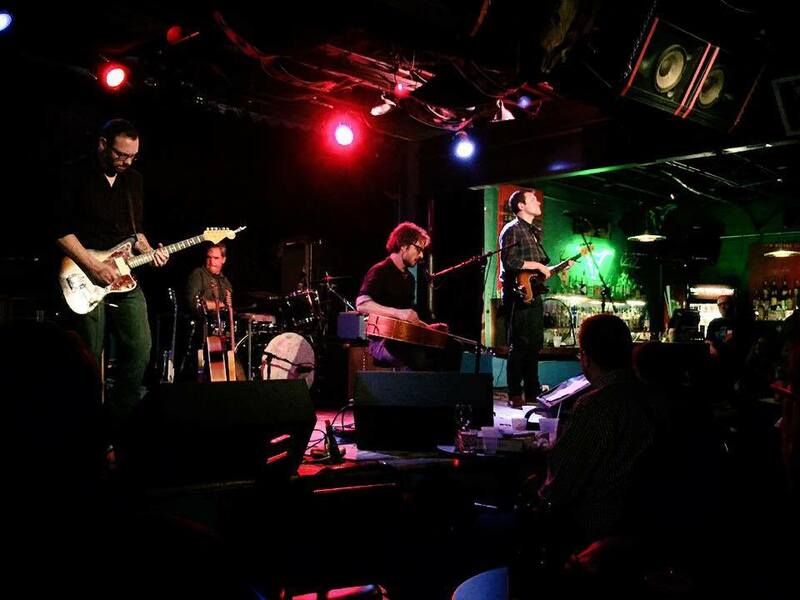 We are an active member of the musical community in Denton and enjoy meeting other musicians. We also supply new and quality used accessories for your guitar in-store and a selection of goods on eBay​.